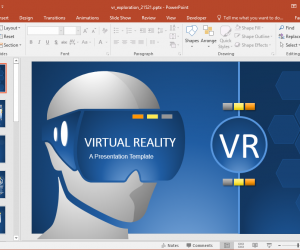 In this post we will provide you with an overview of a presentation template for PowerPoint which depicts various famous landmarks of the world, such as; the Eiffel Tower of France, Taj Mahal from India, Big Ben from London, the Coliseum from Rome, the Sydney Opera House from Australia, Pyramids from Egypt and the Statue of Liberty from the United States. 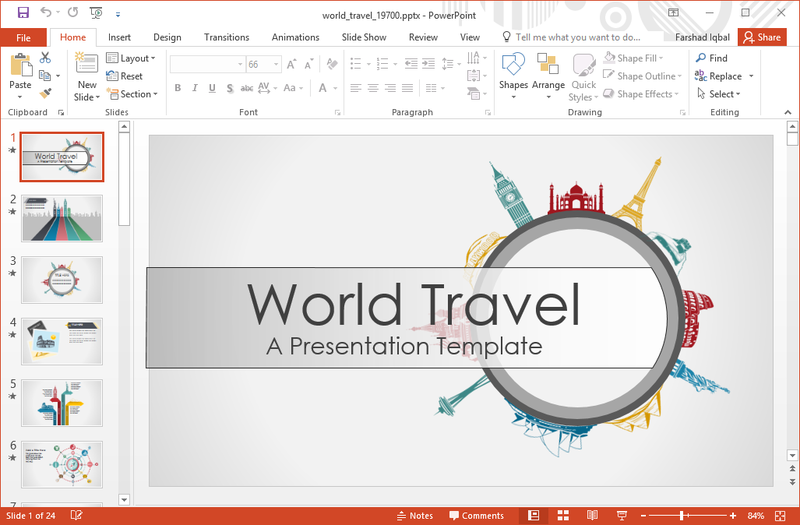 This world landmarks PowerPoint template can be used for a number of purposes, such as for making presentations about tourism, travel, global events, as well as world markets, globalization, etc. 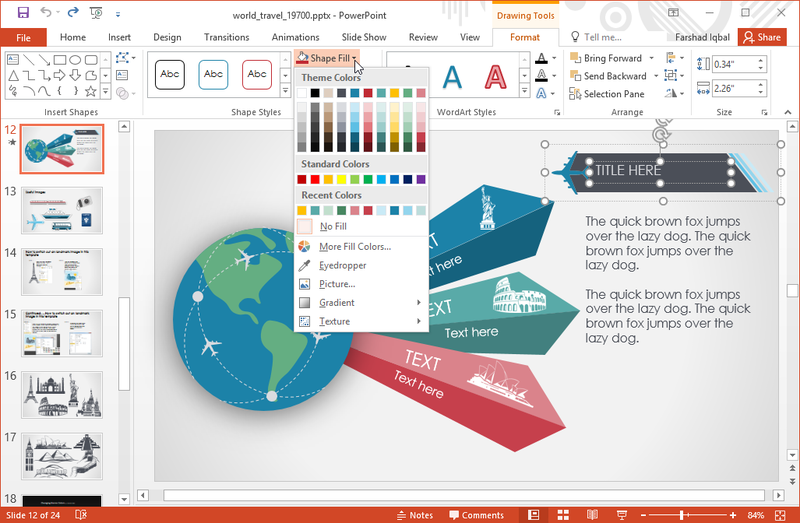 Since the presentation slides are generic, you can edit the slides to create presentations that best suit your needs. 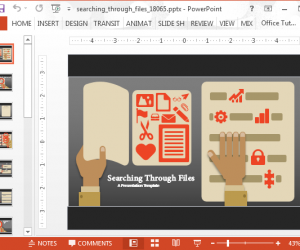 There is enough scope to edit the sample slides for making infographics, timelines and roadmaps, as well as diagrams, picture slides and the like. 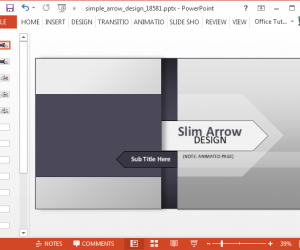 The template is easy enough to edit, and there are also some slides within this template which provide specific instructions for editing the sample slides. 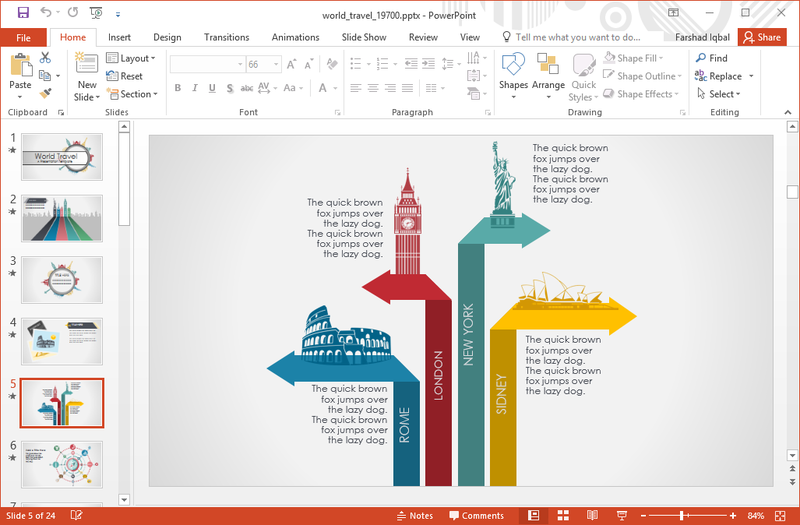 These slides are located between slide 18-23 in the slide deck. In any case, editing individual objects isn’t all that hard. 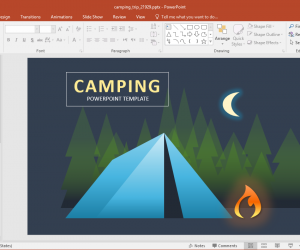 This is because you can simply pick individual objects and edit them using the plethora of editing features that PowerPoint offers by default. 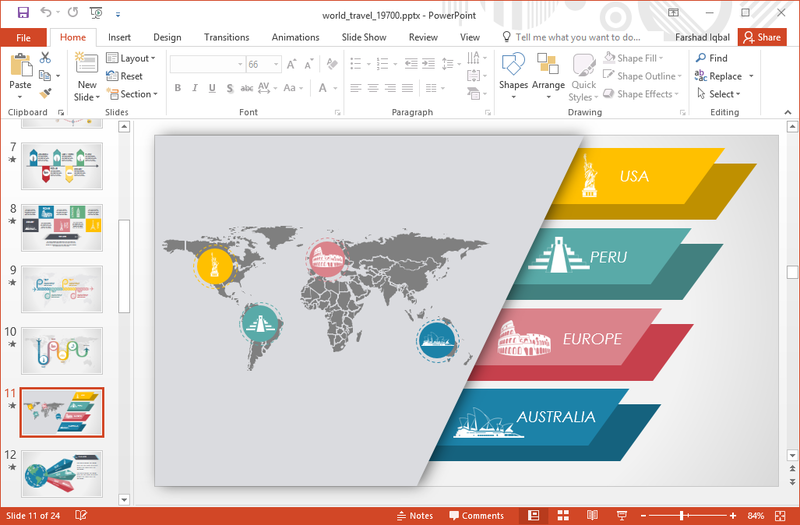 The common theme among all slides are the famous landmarks and travel related imagery. 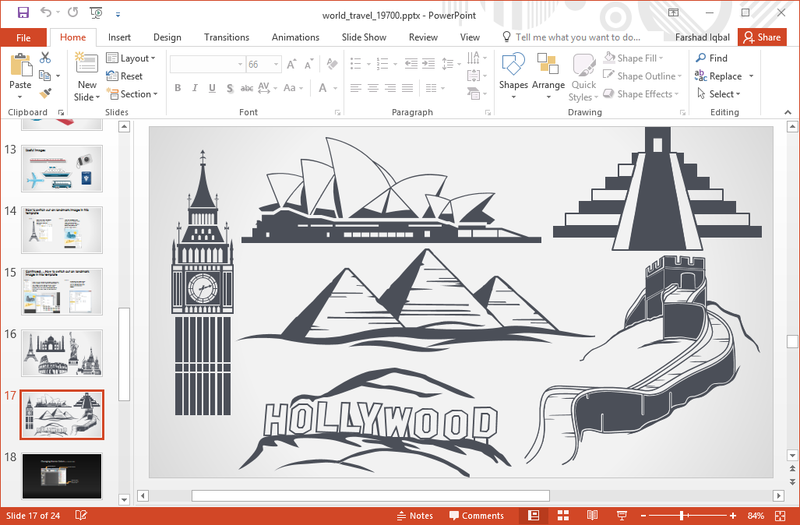 The template comes loaded with clipart for transport vehicles, famous tourist destinations, and other useful content. 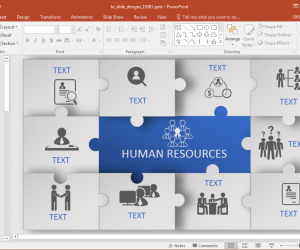 This clipart can be individually selected so that presenters can customize it according to need, as well as move or replace it. 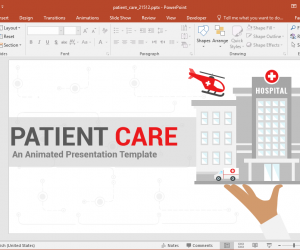 There are also a few clipart slides with illustrations of transport vehicles and famous landmarks like the Great Wall of China, Pyramids of Geyser, Eiffel Tower of Paris, Statue of Liberty of New York, and the Taj Mahal of Agra, India.